THE MAYBELLINE STORY : Joan Rivers Cosmetics are pricey but, are they giving Maybelline New York competition? 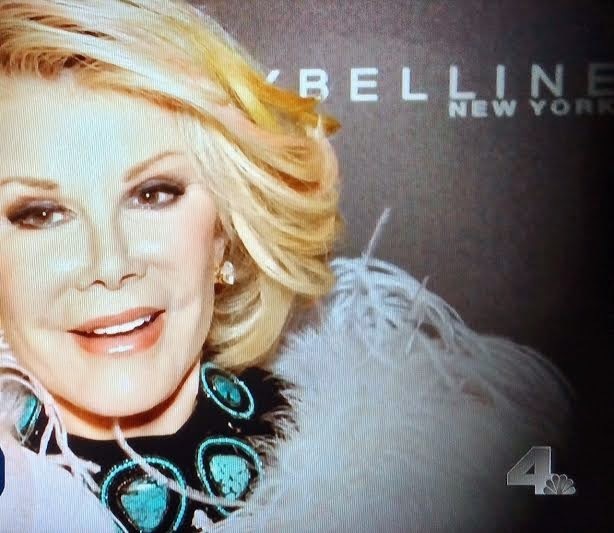 Joan Rivers Cosmetics are pricey but, are they giving Maybelline New York competition? The late Joan Rivers impeccable knowledge of what’s hot and what’s not has been applied to every single one of her cosmetics, which include nail polish, concealer, eau de parfum, and hair powder. Joan developed The Right to Bare Legs Corrective Cover-up for women who want fabulous-looking, no-stockings-needed legs. It works like a face concealer and helps camouflage imperfections like spider veins, freckles, age spots, bruises, tattoos, and birthmarks. Fashion and beauty share an underlying purpose: to help women look and feel their best. Joan Rivers mastered both industries and her products continue to empower women around the world. Of all the high end brands, Joan's may live on way beyond her death and even become more iconic as time goes on.. However, for those who want a quality product, yet sensibly priced, Maybelline New York will continue to be the number one cosmetic brand recognized Globally. Joan Rivers Now & Forever Private Reserve Eau de Parfum 1.7 oz.